The API space has produced an economy in it’s own right. There is inherently the monetary exchange from developer user to API provider. But looking deeper, partners to API programmes have emerged that offer key components to support an API throughout it’s lifecycle, streamlining operations for the API provider and improving their overall developer programme – strong evidence of an industry maturing. Tune into case studies as we explore how agile businesses are using APIs to disrupt industries and outperform competitors. We’ll forecast into the future growth of the API industry, analyse the impact APIs have historically had on specific industries, and see where partners to API providers fit into the overall spectrum. 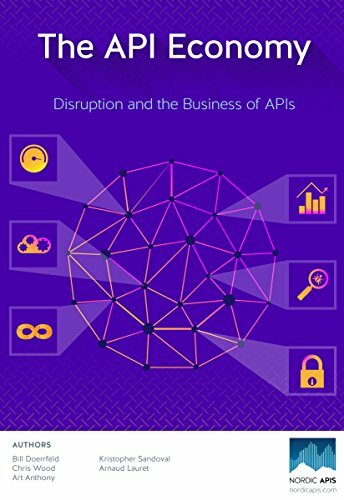 This eBook also compiles our knowledge on growth sectors impacted by APIs: We examine specific sectors, like fintech, healthcare, IoT, and industries that have yet to be API-fied. If you are an economist, industry expert, architect, entrepreneur looking for a new project, or simply intrigued by the concept of disruptive APIs, join us as we analyse the state of the API economy and review exciting potentials using new web technology and innovative business partnerships.